Lou's World: 2 Leibster Awards! Hi everyone....yes, I'm still alive & well, just a bit quiet on the scrappy/blogging front at the moment! And my apologies for not visiting your own blogs of late....I'm hoping I can do a blog blitz over the next few days! Thank you so much ladies....this was a really lovely surprise for me! 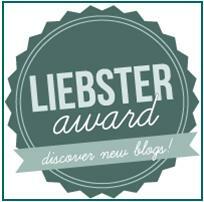 The Leibster Award was designed to be a blog award in the pay it forward fashion. It is awarded to blogs that have fewer than 200 followers to encourage new visitors to them. Once you have been nominated, you award it to five other blogs. The rules are: post the award on your blog, give the award to 5 bloggers who you appreciate that have fewer than 200 followers then leave a comment on their blogs to let them know you have given them this award. All of these ladies inspire me with not only their gorgeous work....but also for leaving me such beautiful comments on a regular basis (sometimes on facebook too!! ), and I find it hard to believe that they all have less than 200 followers on their blogs! I love your projects so much! still wondering why you haven't more than a thousand followers :) I wish you to have a lot of them soon! Congrats Linda! Your photos are excellent and your scrapbooking style is very inspiring. Some exciting news to share!!! !